Dr. Brugge is currently Director of the Harvard Ludwig Cancer Center and Professor of Cell Biology at Harvard Medical School. She received her B.S. degree from Northwestern University, Ph.D. degree from the Baylor College of Medicine, and postdoctoral training at the University of Colorado with Dr. Raymond Erikson. 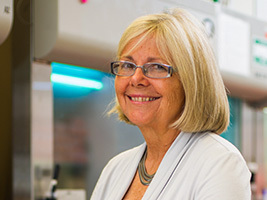 Prior to joining Harvard (Professor 1997-present, Department Chair 2004-2014), Dr. Brugge has held professorship at the State University of New York, Stony Brook (1979- 1988), and was an HHMI investigator/professor at the University of Pennsylvania (1989-1992). Dr. Brugge was also Scientific Director of the biotechnology company ARIAD (1992-1997). 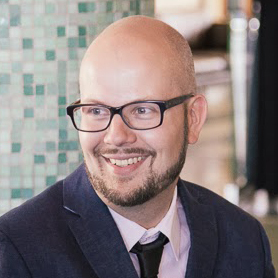 Dr. Brugge has received the NIH Merit Award, American Cancer Society Research Professorship, ASCB Senior Career Recognition Award, as well as elected memberships in the American Academy of Arts and Sciences, National Academy of Sciences, and the Institute of Medicine. 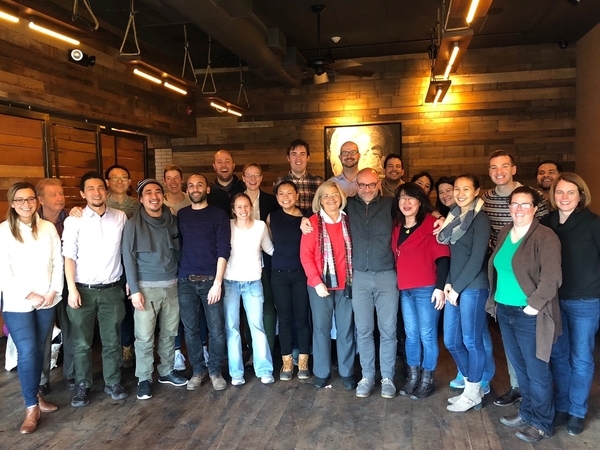 March 2019: The Brugge Lab bid farewell to Natalie Hendrick and Nobu Takahashi. 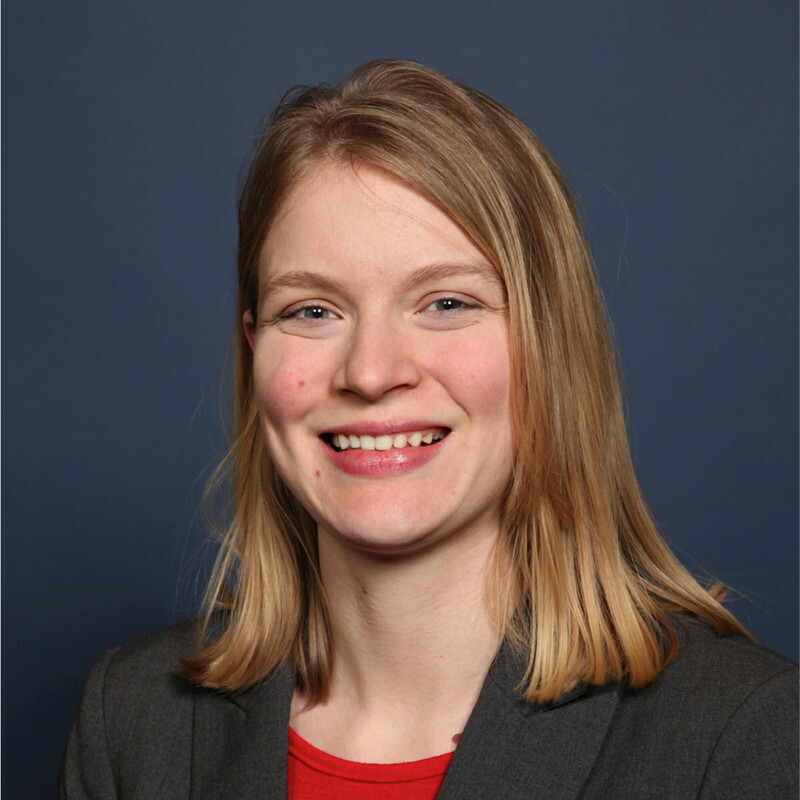 Natalie will be working as Science Advisor in the Intellectual Property group at Goodwin Procter LLP. Nobu is starting his own research group as Associate Professor at Kyoto University. Good luck to you both! 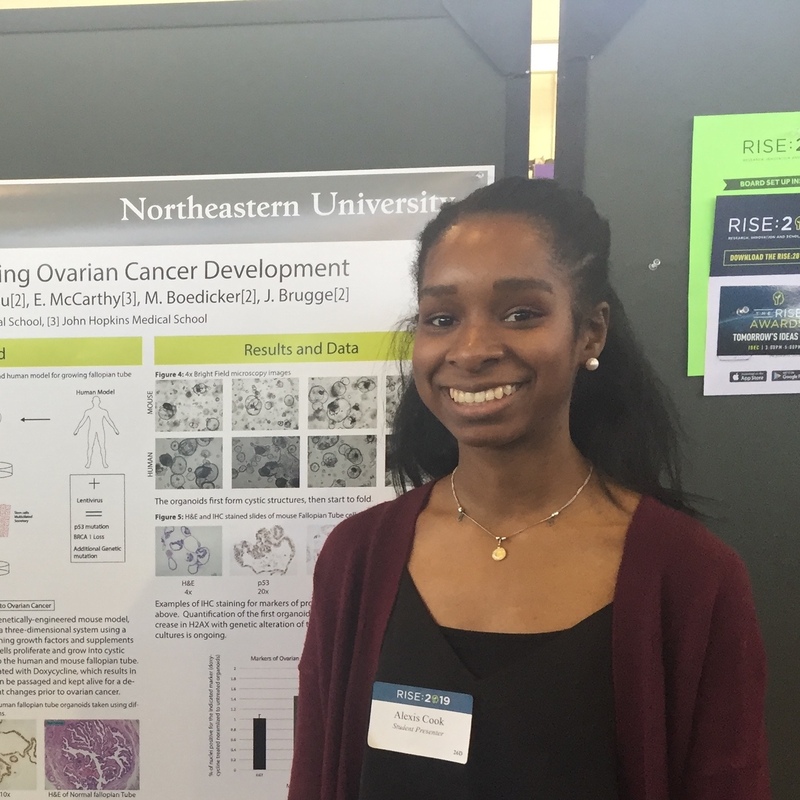 Two of our talented undergrad students, Alexis Cook and Hana Shapiro, did a great job presenting their research at Northeastern University's annual RISE (Research, Innovation, and Scholarship Expo) symposium. 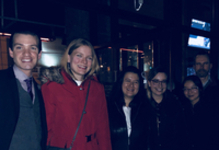 February 2019: Congratulations to Natalie Hendrick for a successful thesis defense! Also big thumbs up to Isaac Harris for his new paper in Cell Metabolism on glutathione depletion in cancer. 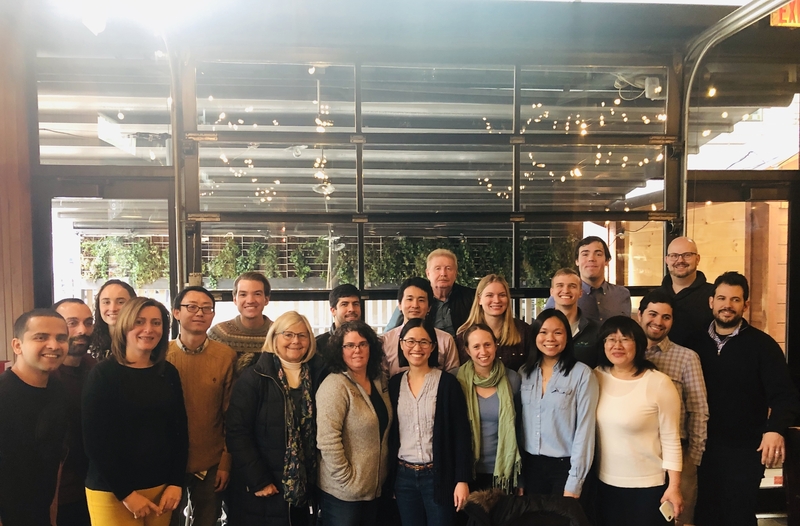 January 2019: The Brugge Lab celebrated the new year with a lab lunch. 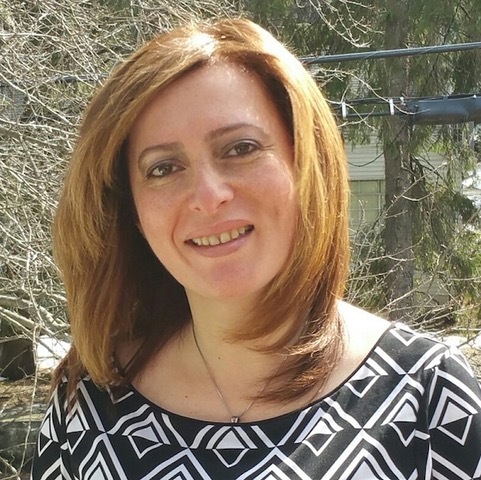 Also congratulations to Claudia Iavarone on her paper published in Molecular Cancer Therapeutics, studying combination treatment of high-grade serous ovarian cancer! October 2018: Two thumbs up to Suha Abu Amara and Yaara Oren for giving their outstanding talks on tumor heterogeneity and drug resistance, respectively, in the EACR-AACR-ISCR Conference! The Brugge Lab is also proud to have won both the Best Halloween Costume Award and Best Carved Pumpkin Award in this year's Cell Biology Departmental Retreat. Big thanks to captain Natalie Hendrick for leading the team! 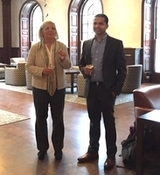 September 2018: Congratulations to Yannis Zervantonakis for soon starting his own lab in University of Pittsburg! Check out his lab website and contact him for lab positions. 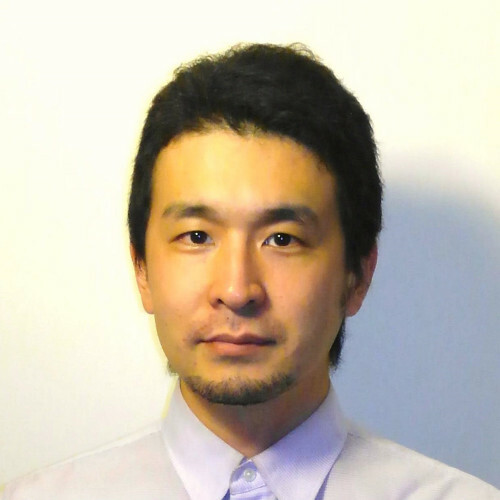 Also congratulations to Nobuaki Takahashi for accepting the position of Associate Professor in Kyoto University! Email Nobu if you are interested in applying to his lab. 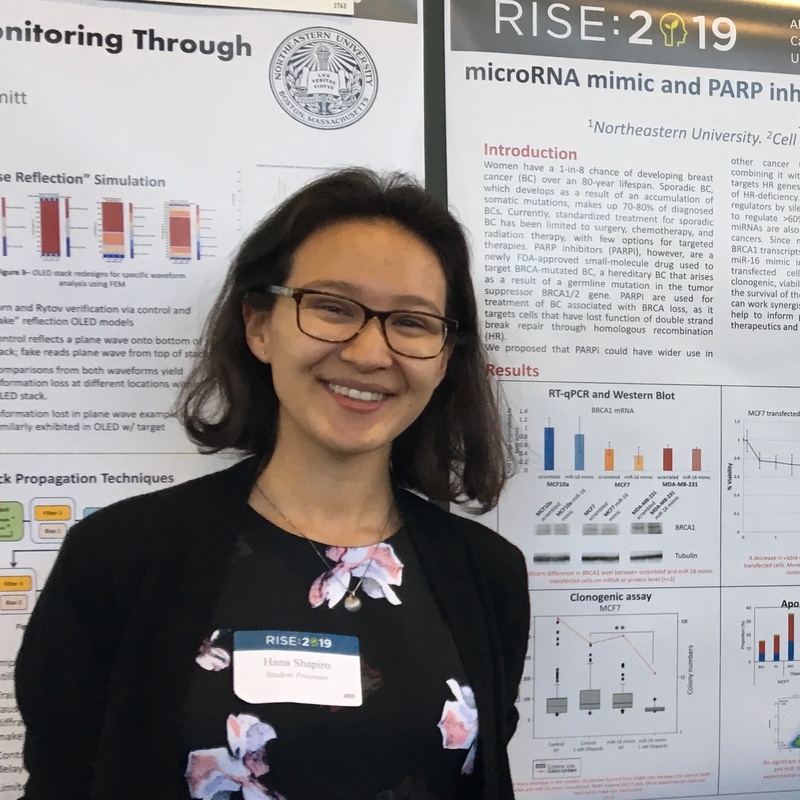 August 2018: Hana Shapiro and Michelle Koh did an excellent job presenting their summer research projects at Harvard's CRISP and PRISE undergraduate symposiums, respectively. Congrats! 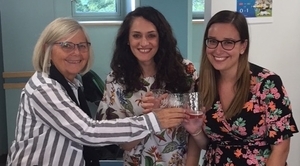 July 2018: The lab said good-bye to Claudia Iavarone and Jennifer Endress. Jenn is starting her Ph.D. program at Weill Cornell Medical College! Claudia is starting a new position in the Technology Transfer and Innovation office at the European Institue of Oncology (IEO) in Milan, Italy! June 2018: The lab bid a bitter-sweet farewell to Jon Coloff before he moves to University of Illinois at Chicago to start his own lab. Good luck Jon! Check out Jon's lab website if you are interested in joining. Johan gave a great short-talk presentation at the Mammary Gland Biology Gordon Research Seminar on intratumoral heterogeneity. May 2018: Congratulations to Nobuaki Takahashi on his paper in Cancer Cell. Here is Harvard's press release. 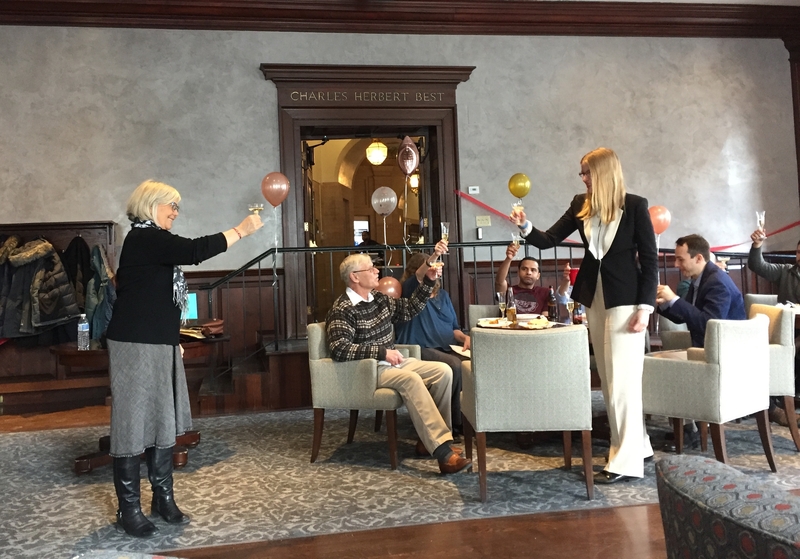 The Brugge lab also celebrated Sabin's thesis defense. Congratulations Sabin! 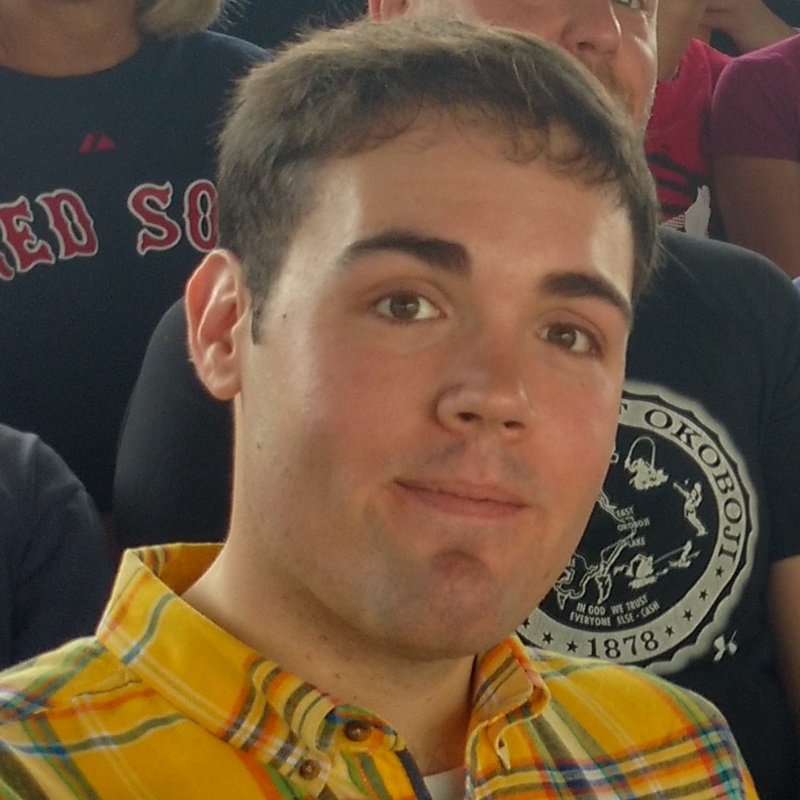 And thumbs up to Kenneth for being awarded the F31 Predoctoral Fellowship from the NCI. 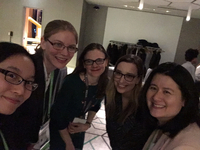 April 2018: Fun reunion of current and former Brugge lab members at the 2018 AACR Annual Meeting. Big thanks to Natalie and Rosa for organizing the gathering! Our Jennifer Rosenbluth gave a great presentation on mammary organoids. 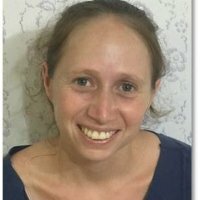 March 2018: Big congrats to Yaara for receiving the Rivkin Scientific Scholar Award! February 2018: Congratulations to Jon for starting his own metabolism lab soon in the University of Illinois at Chicago! Contact him if you are interested in joining his team. 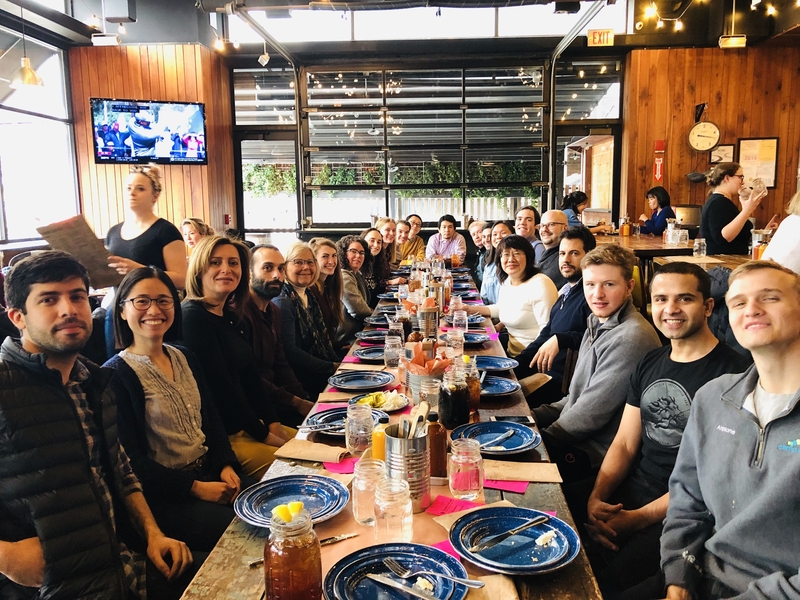 December 2017: Lab holiday celebration and farewell for Marcin. October 2017: Congratulations to Claudia Iavarone and Carman Li for being selected for short-talk presentations at the AACR meetings on ovarian cancer and mouse models of cancer, respectively. September 2017: Congratulations to Marcin Iwanicki for starting his lab in Stevens Institute of Technology! He is recruiting lab members. Contact Marcin for information. August 2017: Congratulations to Jonathan Coloff for his K22 Award and to Yannis Zervantonakis for his K99! 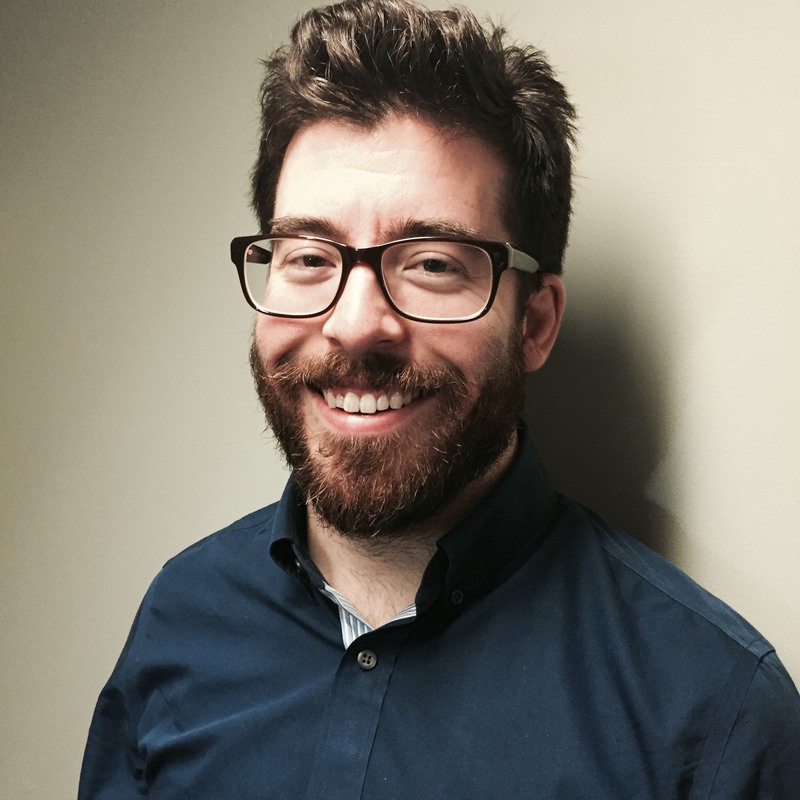 July 2017: Our Dan Stover has opened his lab at Ohio State University. Congrats Dan!